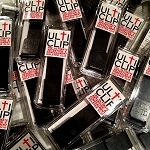 1'' AustriAlpin Cobra Buckle:The AustriAlpin 1'' Cobra buckle... the most popular choice in Every Day Carry quick release buckles. Rated to over 2000 lbs. 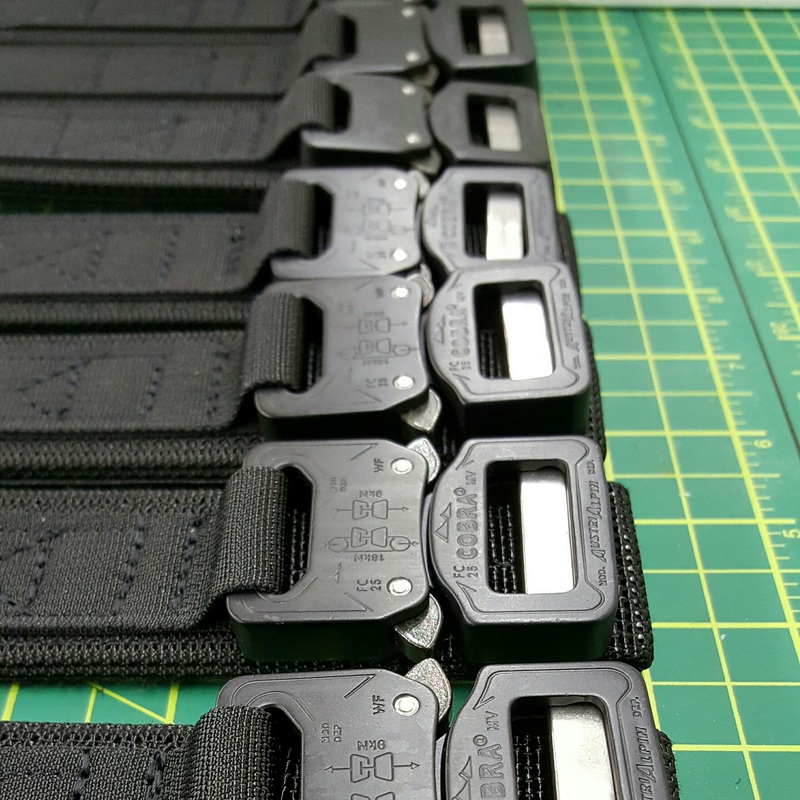 (9kN) they are the safest, most finely crafted, and strongest load bearing buckles available anywhere. 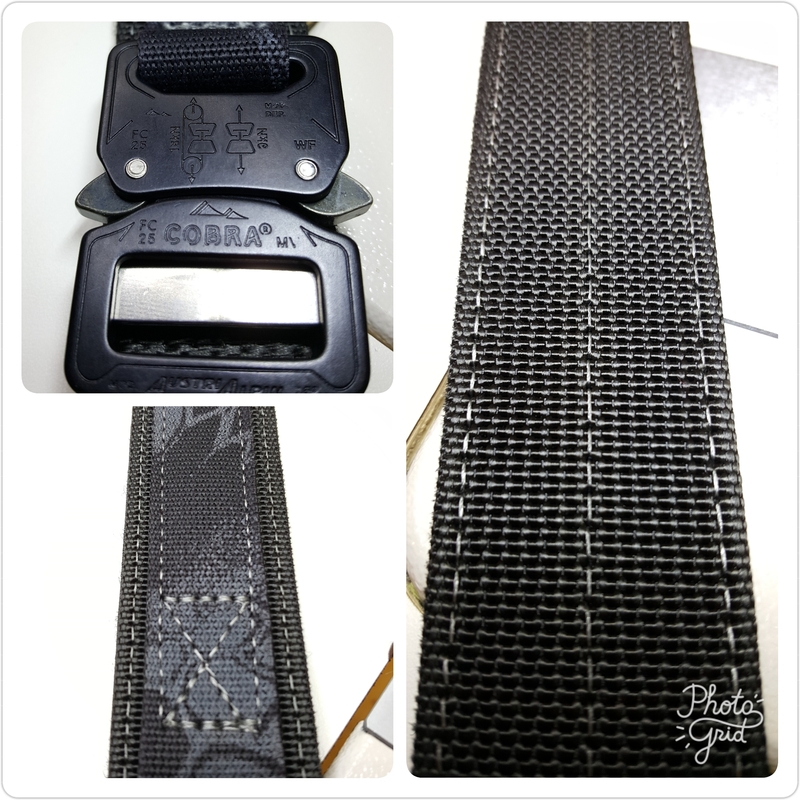 VELCRO KEEPER SYSTEM:Hook and loop installed in the area of overlap to stabilize the belt. 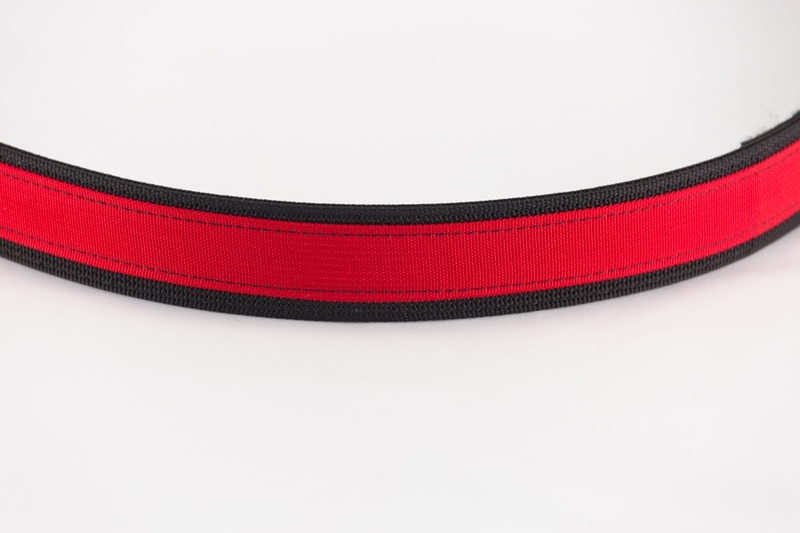 The Every Day Carry (EDC) belt of choice for many who carry on a regular basis... 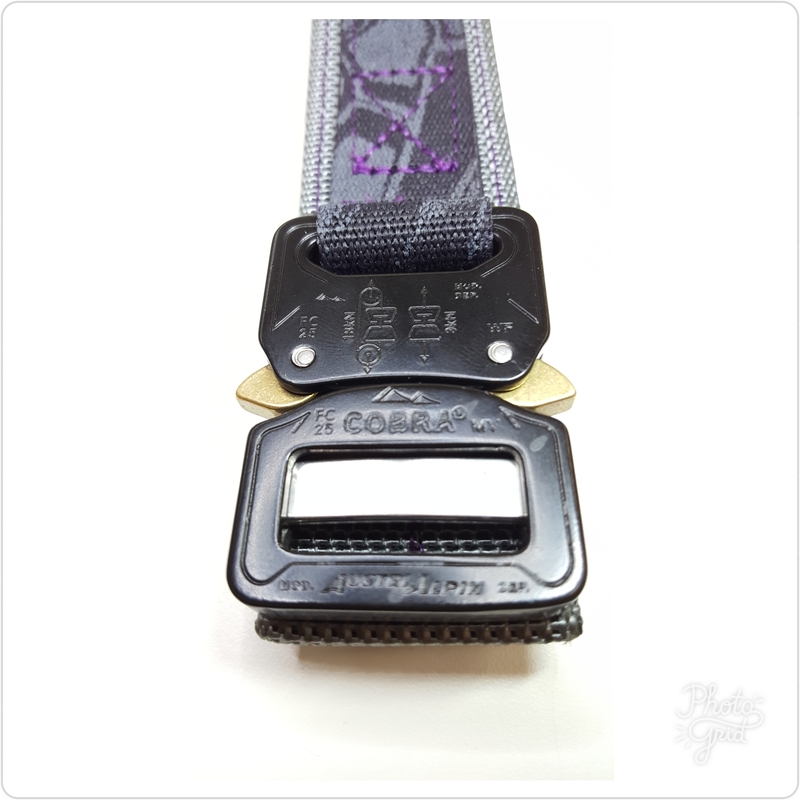 Constructed using our Super-Stiff 1.5'' base webbing, this belt design combines the reliability of a Cobra Buckle with rock-solid stability. 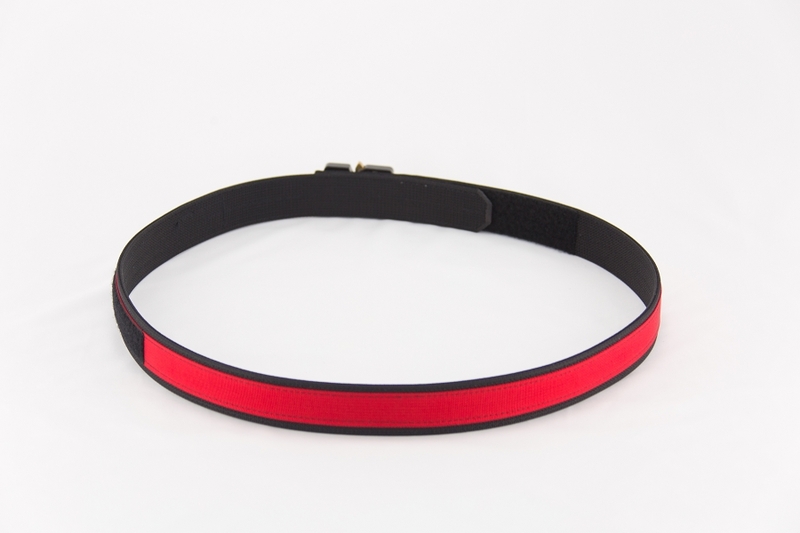 This is an awesome belt! Don't hesitate to buy. Stiff and very utilitarian. Thanks for the quality workmanship! 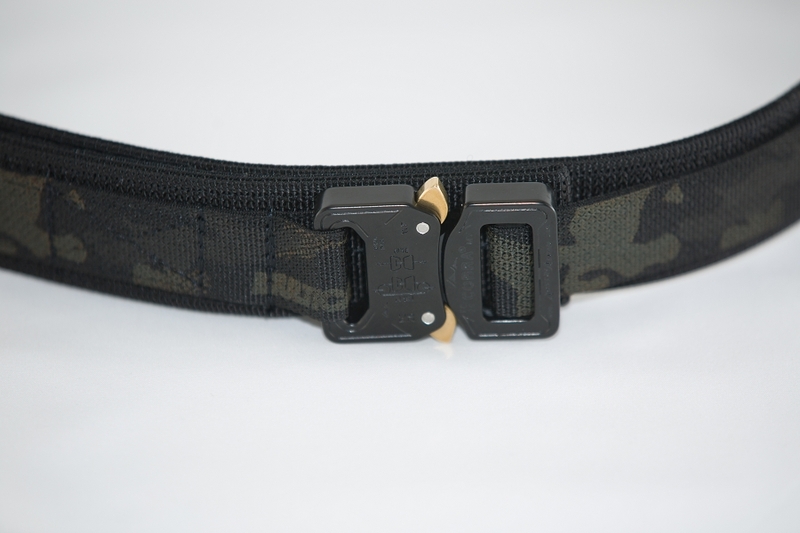 THIS IS MY SECOND BELT FROM DEADEYE CARRY SOLUTIONS. I LOVE THEM BOTH. THE FIRST WAS THE EXTREME LOW PROFILE (XLP) AND IT IS PERFECT FOR CONCEAL CARRY HOLSTERS. 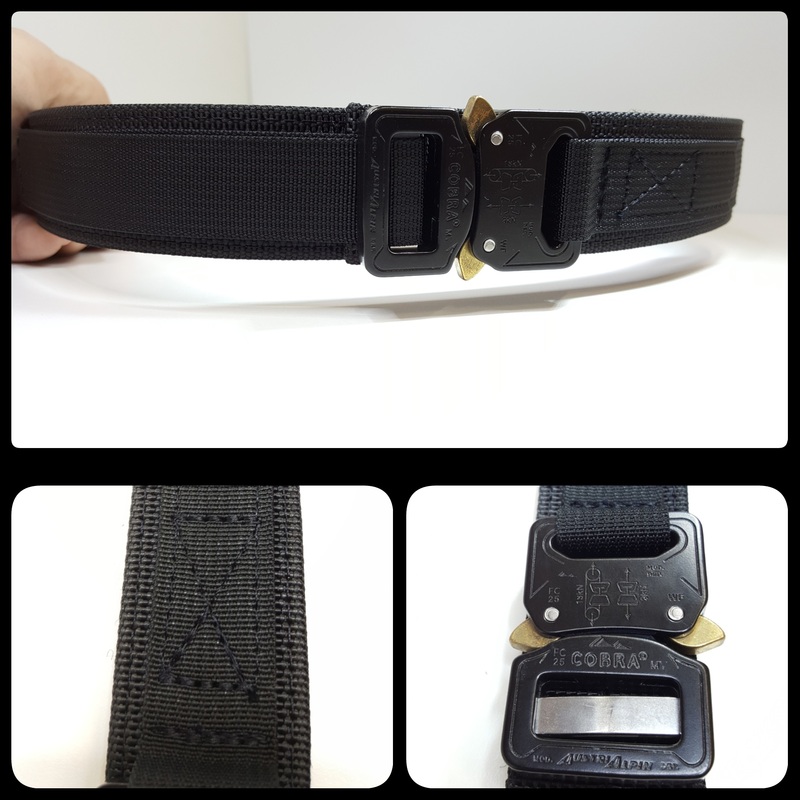 THE SECOND BELT I ORDERED WAS THE EDC COBRA BELT. I LOVE IT AS WELL. FOR A WOMAN, IT IS A LITTLE EASIER TO GET IN AND OUT OF IT FOR RESTROOM BREAK PURPOSES. AS I SAID, I LOVE THEM BOTH, I USE THEM BOTH, AND I LOVE THE CUSTOM COLORS I PICKED. 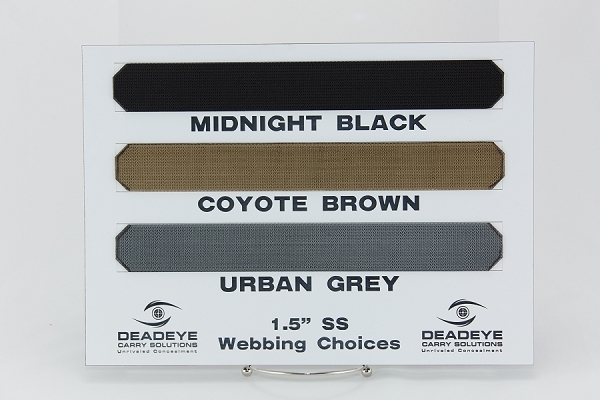 THE NEXT ONE I PLAN TO PURCHASE THE 1.5 INCH COBRA BELT SO I WILL ONE OF EACH STYLE! 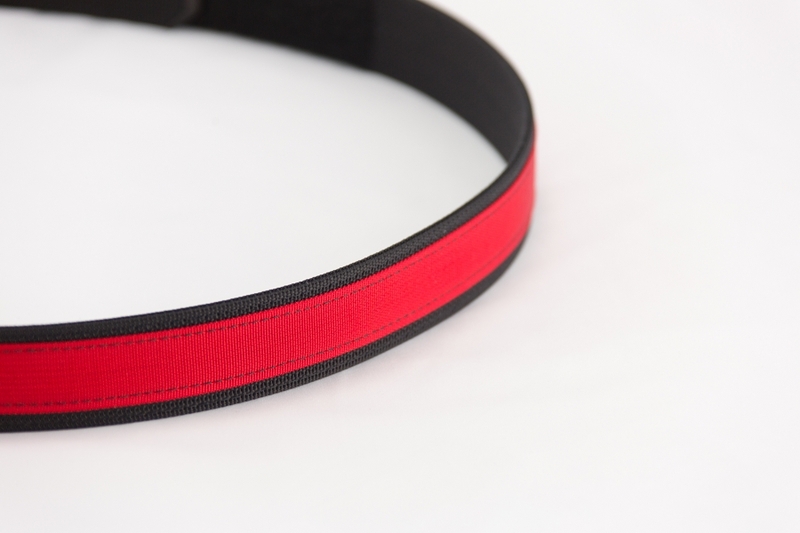 THESE BELTS ARE NICE AND STIFF AND THE WORKMANSHIP IS WONDERFUL! An excellent belt. 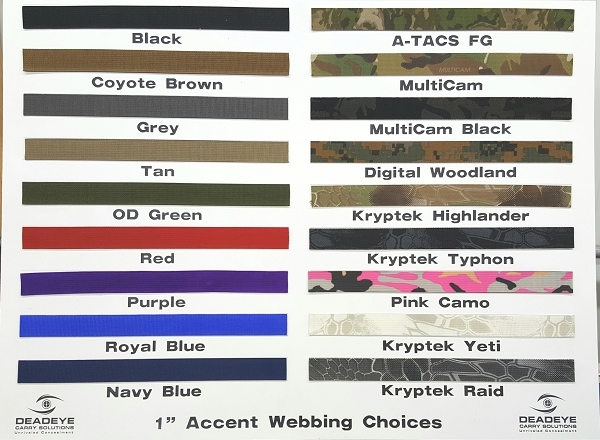 Stiff, well sewn webbing, excellent buckle, highest quality. Highly recommended. I now wear this belt every day and I'll buy another when it wears out. I LOVE my new belt! The color is perfect and it fits great! It works extremely well with my holster and mag pouches and looks outstanding. Thanks so much for a top notch quality competition belt! 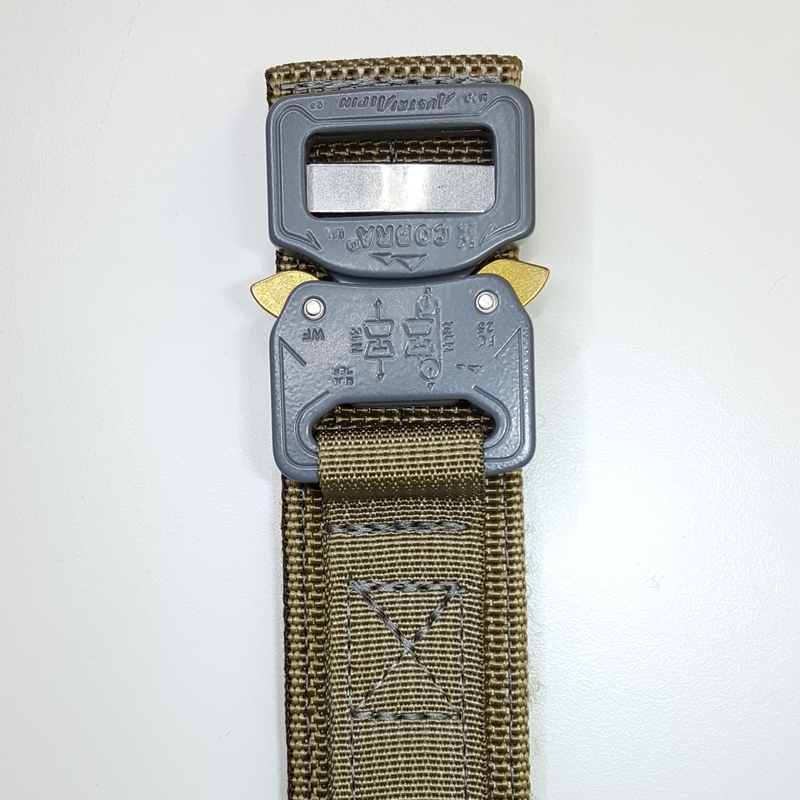 Q: What is the adjustment range on this belt? A: About 4 inches... 2 inches up and down from an accurate waist measurement. 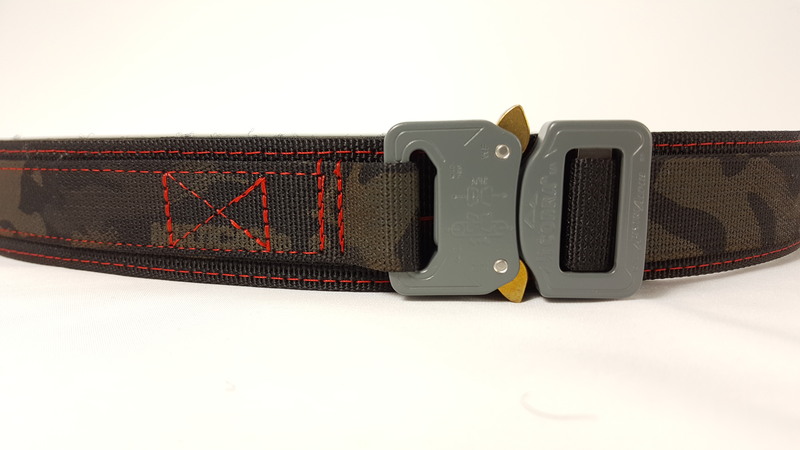 Q: What secures the tail on this belt? Is it done with velcro or an elastic band? A: It is done with Velcro.